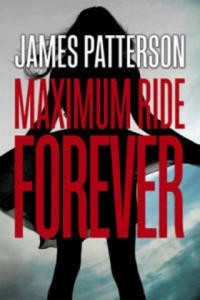 If you've already experienced MAXIMUM RIDE: THE ANGEL EXPERIMENT, stop right here - just turn the page, and hold on tight! As for the rest of you - meet Max, Fang, Iggy, Gasman, Nudge and Angel; six unforgettable kids (and a dog). With some major problems. THEY'RE BEING HUNTED BY KILLERS. BUT WHO? AND THAT'S NOT ALL! Max is sure that a microchip's been inserted under her skin - bringing evil forces to ambush them at any moment. Oh yeah, and they're supposed to save the world. BUT FROM WHAT? WHEN? AND HOW? Max will stop at nothing to find answers. One thing she does know: it's got something to do with an astonishing ability they have. THEY CAN FLY. Max's heart-stopping quest to protect her 'family' and investigate the mind-blowing mystery of her destiny continues in the scariest, strangest, and funniest James Patterson thriller yet.